The Jonestein Thought Factory is collaboration between husband and wife, Jones von Jonestein and Sasha Koozel Reibstein. Their collaborative works range from large scale public installations to smaller batch production wares. In each they are combining both of their experiences as object and print makers. Together they explore the relationship between form and surface through investigating new ways of transferring graphic images onto 3 dimensional surfaces. 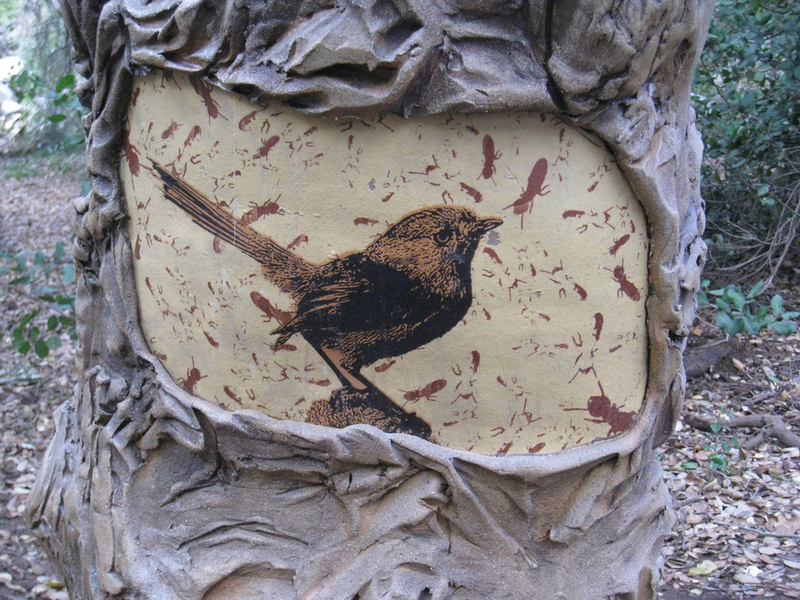 "Oak Idyll" detail of Wrentit and termites. Their most recent project, "Oak Idyll", is permanently installed at the Elfin Forest Recreational Reserve in Escondido, CA. This series of four large scale trunks are inspired by the California Coastal Live Oak Tree under which they are located. Each trunk has a theme, representing a food source found within the Oak's ecosystem. The food source, such as termites, acorns or grass, is represented as a background pattern within each window. Each trunk has several windows, exposing this pattern upon which there are prints of the animals that feed on each food source. The goal of the project was to respond to the incredibly diverse native ecosystem by inspiring viewers to search their surroundings for each of the represented creatures and foliage. 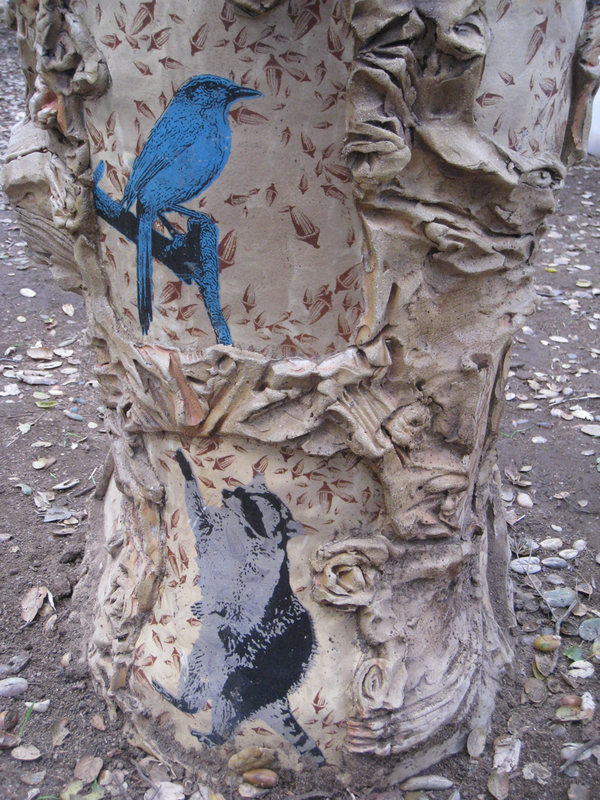 "Oak Idyll" detail of Scrub Jay, Raccoon and acorns.